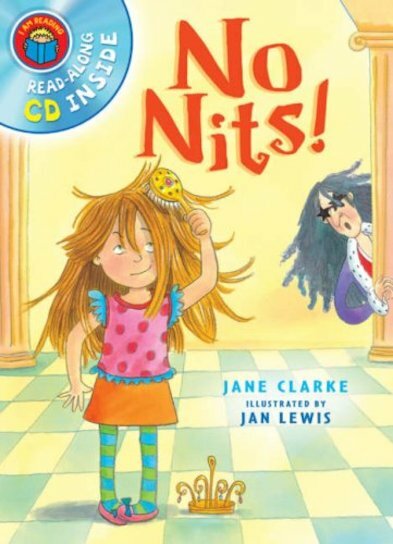 I Am Reading: No Nits! The happy people of the Kingdom of Hairia all have great hair. But one day the whole kingdom wakes up to its first bad hair day. Help! There are nits everywhere! No one knows what to do, so the royal family try to rally their country out of these terrible times. While the King’s pop single – “No Nits Today” – hits the number one spot, can Princess Primrose come up with an idea to banish the lousy lice forever? This fabulous read-alone treat from a popular series bridges the gap between picture books and chapter books. With glowing colour illustrations and an audio CD to read along to, it’s a really satisfying story for little learners to devour!